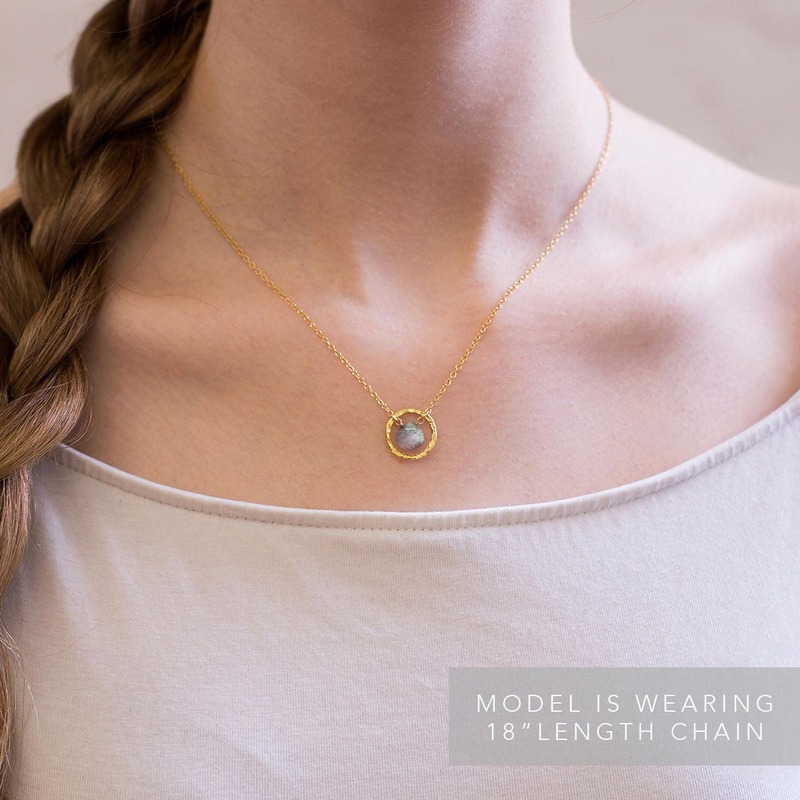 This necklace features a dainty, genuine gemstone drop inside of a hand-hammered ring. 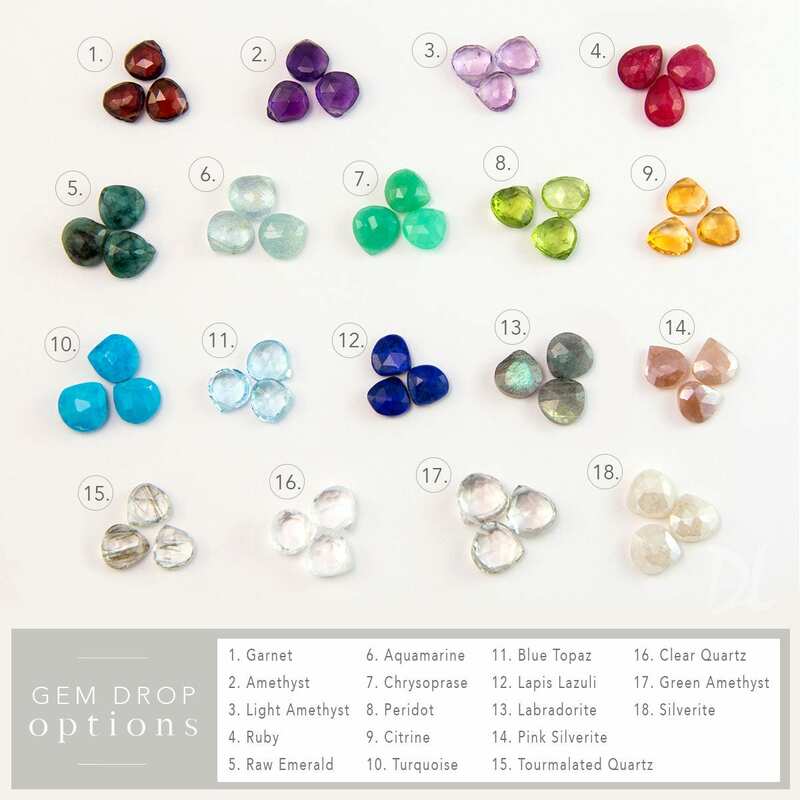 Available with the option of a freshwater white pearl accent or without. 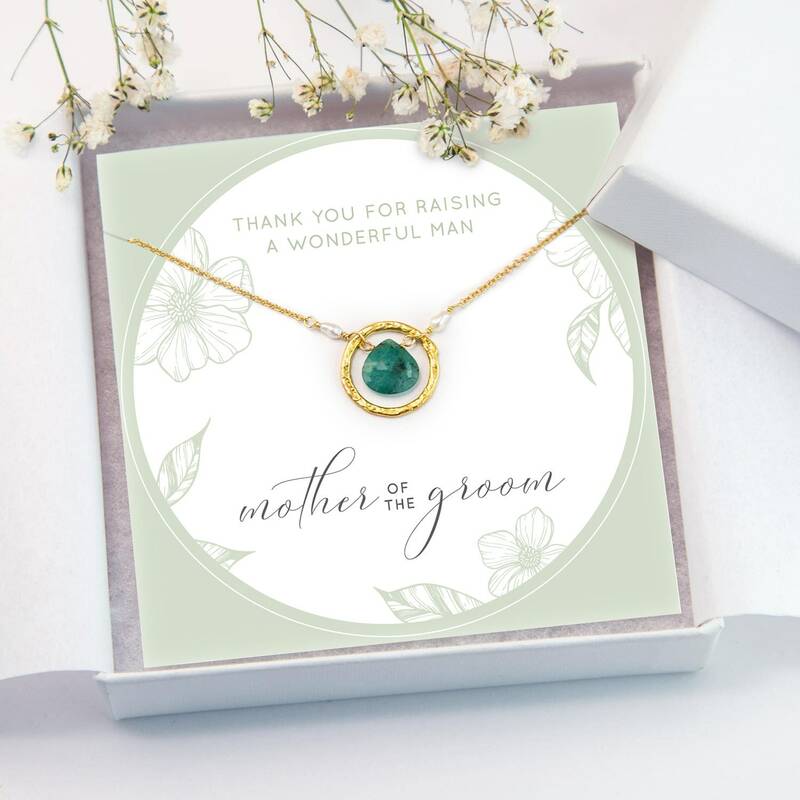 Personalize your gift one step further with a complimentary custom card from which your necklace hangs. These cards are designed and printed to order in our studio with the text of your choice. 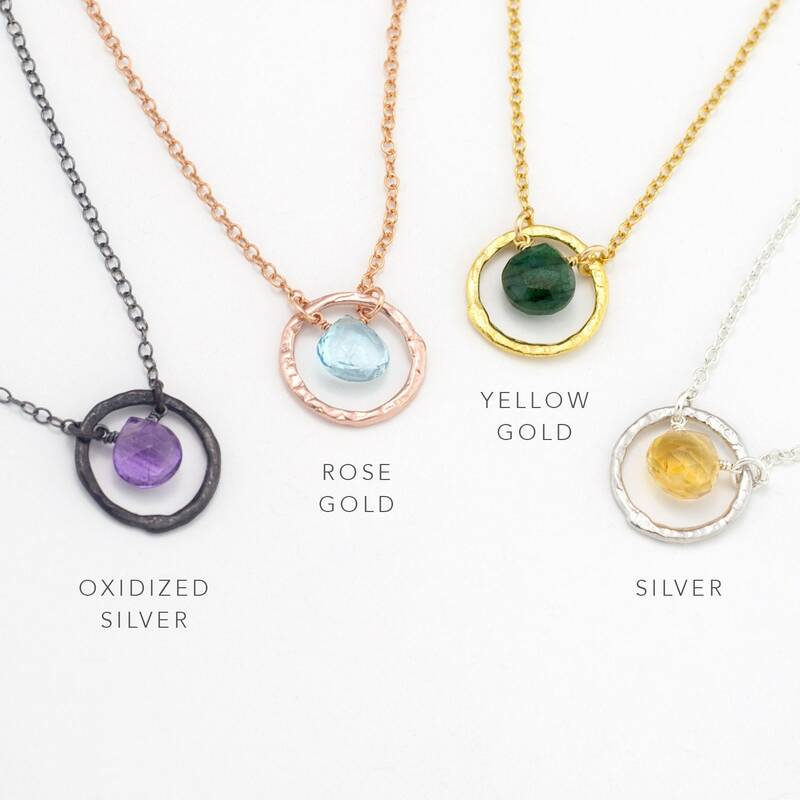 Choose from one of five pre-written options or write a message of your own. 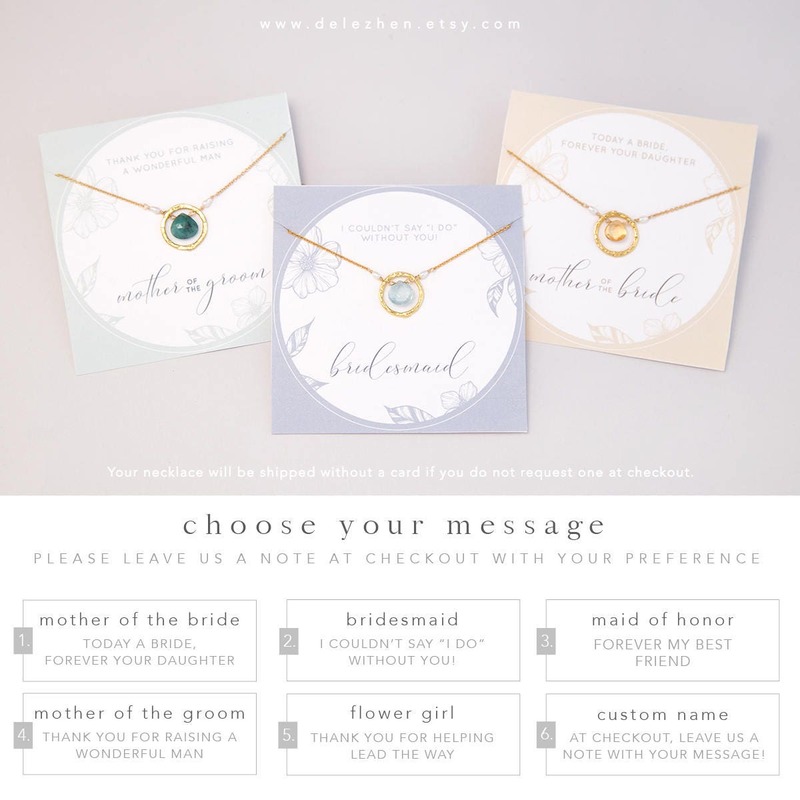 Customize with their role in your wedding party or personalize the card with their name. 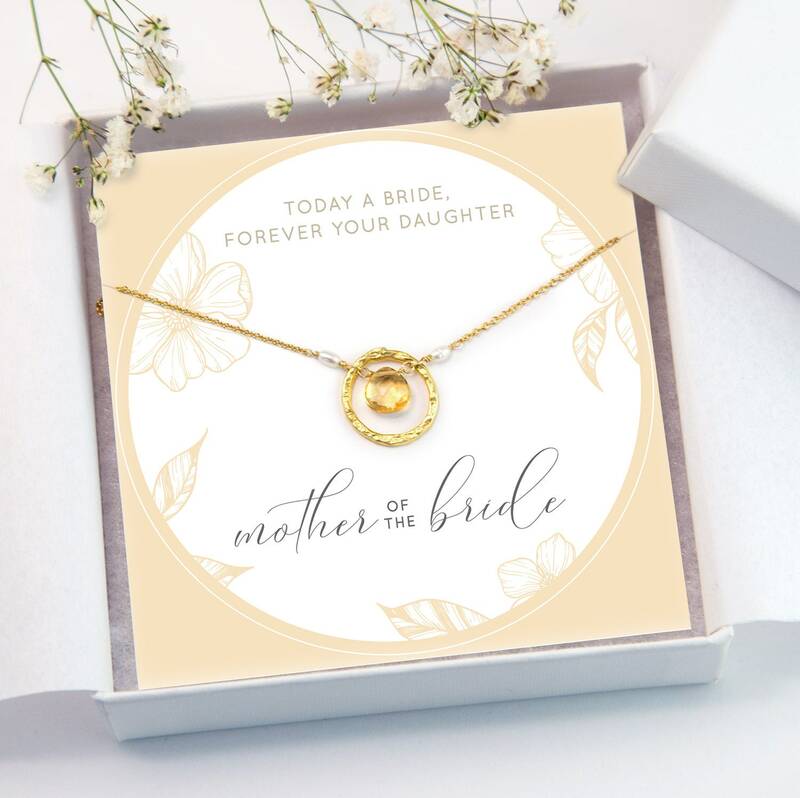 Each necklace & custom card are individually packaged in our premium quality, white bridal gift boxes, complete with a polishing cloth & care instructions. 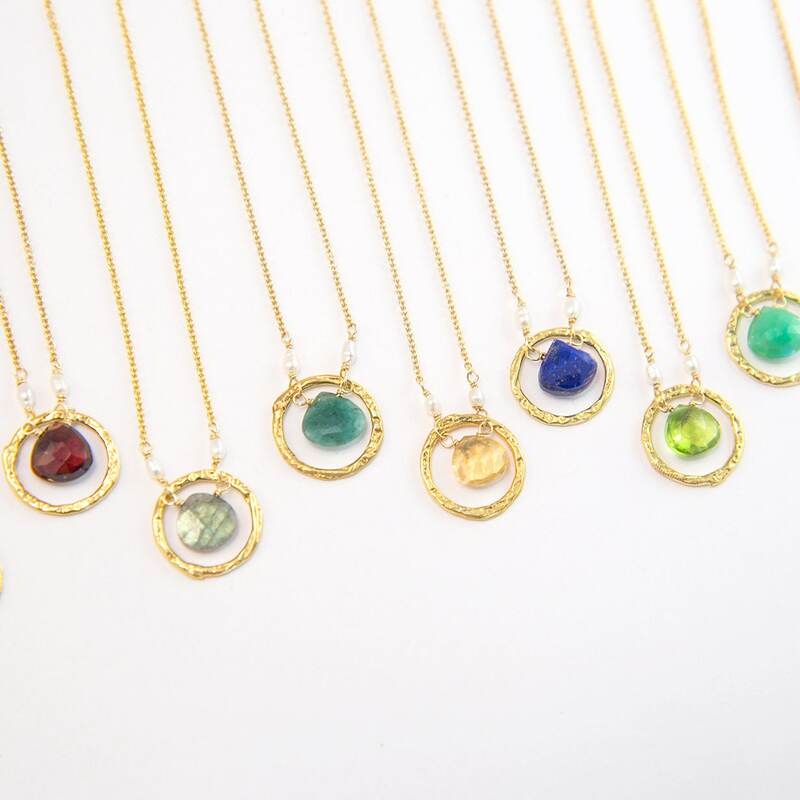 Choose the gemstone [options available in listing photo], metal, chain length & card for your necklace! 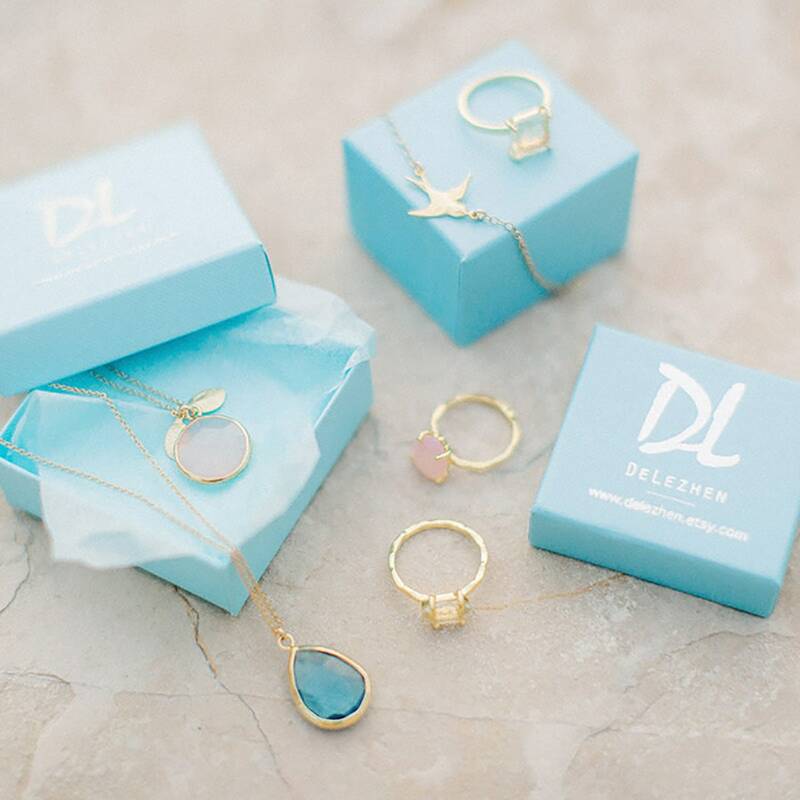 • IF YOU WOULD LIKE A CARD leave a comment in the “Add a Note to Delezhen” box with the card option you would like to receive. - 2. 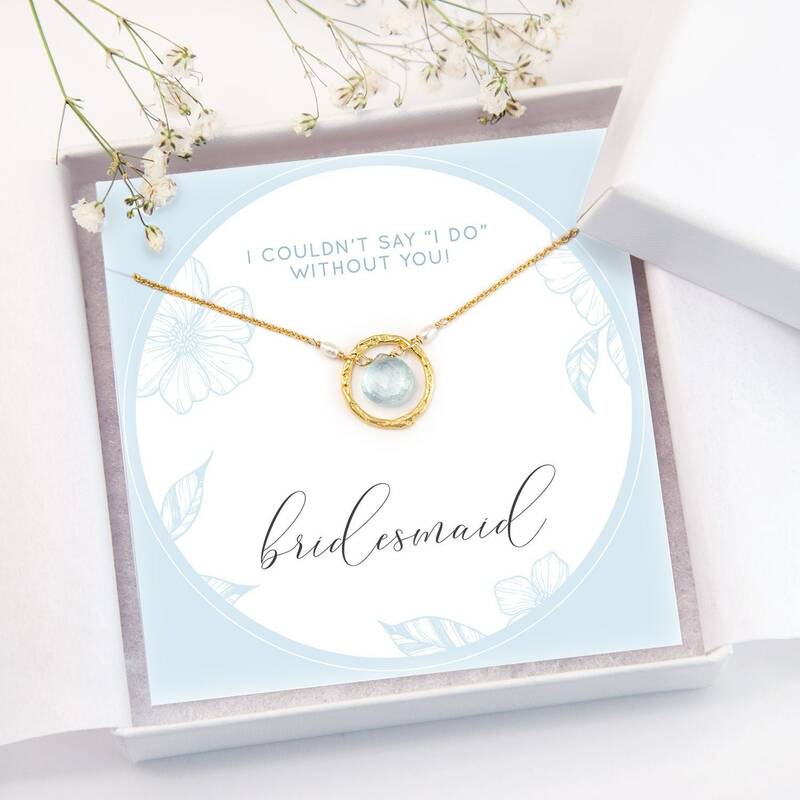 BRIDESMAID: I couldn’t say “I do” without you! - 5. FLOWER GIRL: Thank you for helping lead the way! 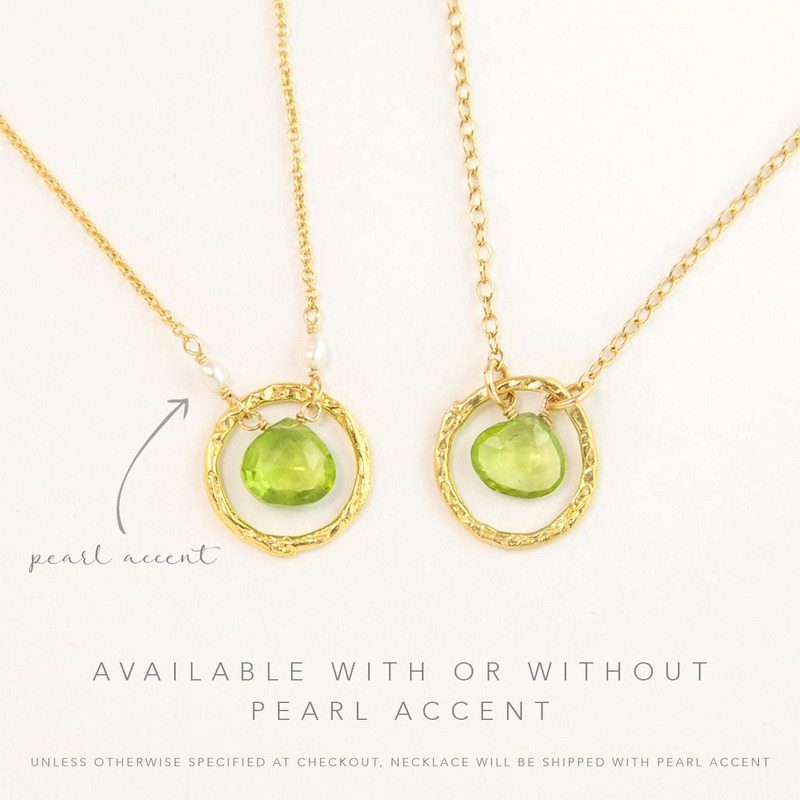 • IF YOU PREFER THE NECKLACE WITHOUT THE PEARL ACCENT leave a comment letting us know to make the necklace without it. Soo cute! Shipped within 1 day and arrived quickly. These will be great for my ladies!